Had it not been for The View (with new co-host Rosie Perez) , I wouldn’t have know that its Hispanic Heritage Month. Celebrated from September 15 through October 15, it hardly receives any recognition. While I don’t intend to give a history lesson on Hispanic culture here, I do want to encourage a little self-education. I also want to share ways that non-Hispanics can support the Hispanic community during (as well as after) Hispanic Heritage Month. I realize that there’s only a week left to celebrate but I asked Jackson (MS) based entrepreneur Israel Martinez, owner of Kismar Computer Services and Lingofest Language Center how non-Hispanics can honor the culture during this time. 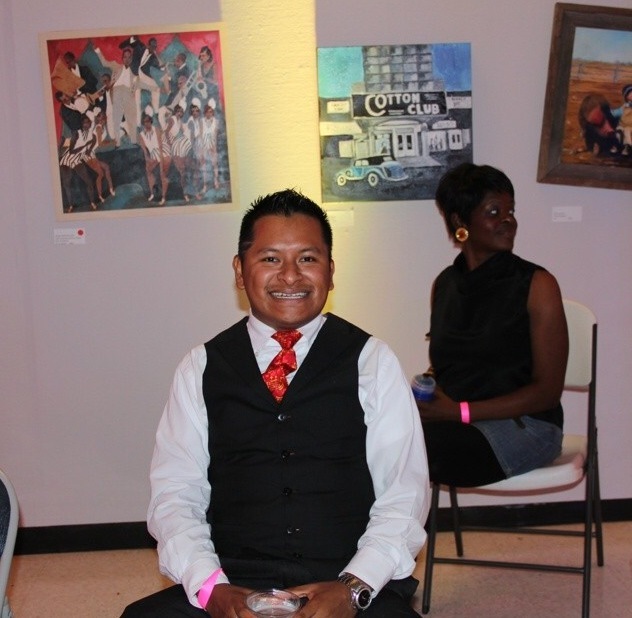 Local entrepreneur Israel Martinez at the 2014 10th Annual JFP Chick Ball. Martinez says one way is by “building relationships between the different ethic groups.” He says “there are a lot of misconceptions and myths” and building bridges will allow us to get to know each other. A few fun and informative ways to gain insight into the Hispanic culture is to watch the all Spanish channel WRBJE (34.4 on Jackon Area Broadcast) and see how much you can figure out. Also check out La Noticia de Misisipi (The MS Hispanic Newspaper). Again, see how much you can figure out then use a translator like Google Translator to see what is actually written. There are some sweet (and free) translator apps available too so try a few to find one that fits you. One final thought is that embracing other cultures does not mean you are shunning your own. It only makes your a wiser and more rounded individual. Feliz Mes de la Hispanidad!